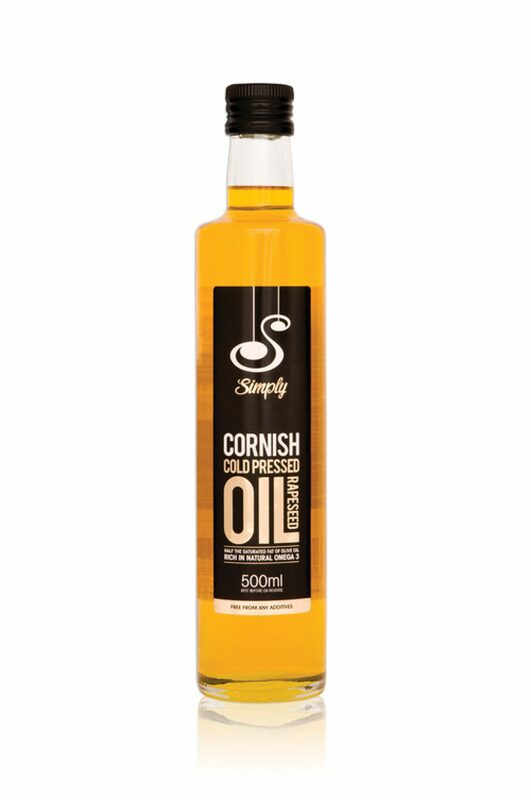 Simply Oil produces Cornish cold pressed rapeseed oil: “deliciously versatile and rich in natural goodness”. 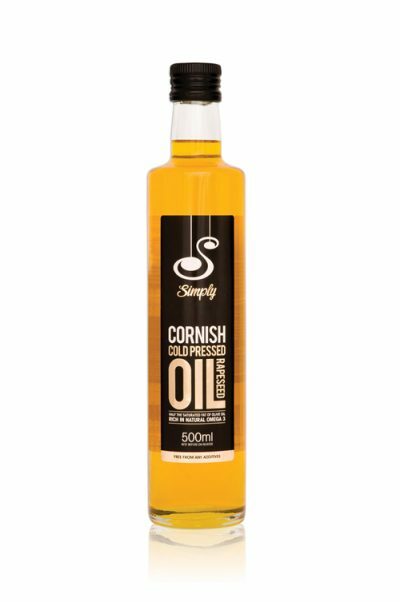 Grown on the farm – from seed to bottle – rapeseed oil is high in Omega 3 and 6 and vitamin E. It has only half of the saturated fat of olive oil. The oil can be used for marinades, dips, and dressings or for baking, frying and roasting as it works at much higher temperatures than olive oil.